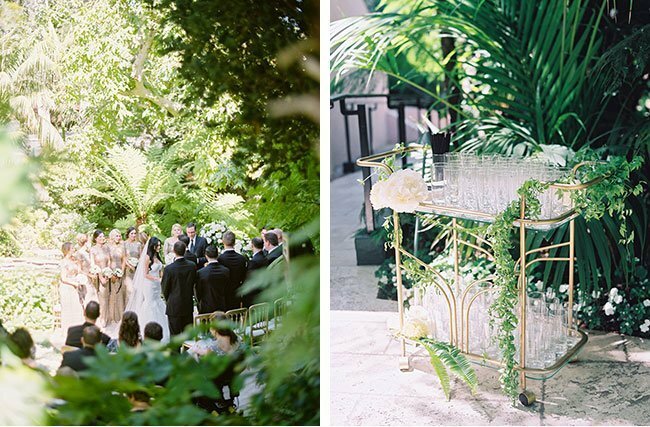 Enchanted Garden Wedding in Bel Air! 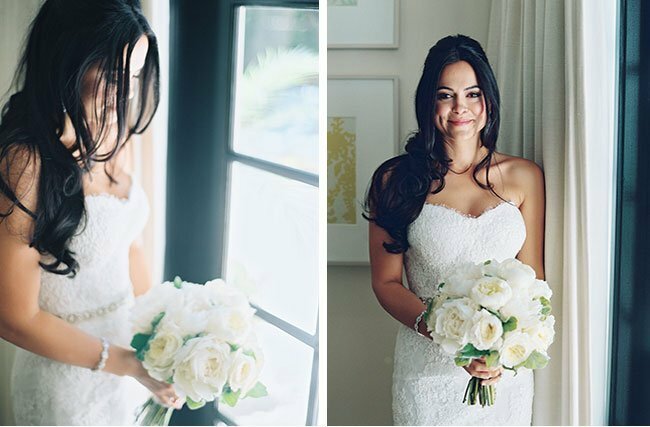 We teamed up with Kristin Banta and a whole slew of amazing wedding pros for one enchanted evening at the Hotel Bel Air... and loved every single minute! 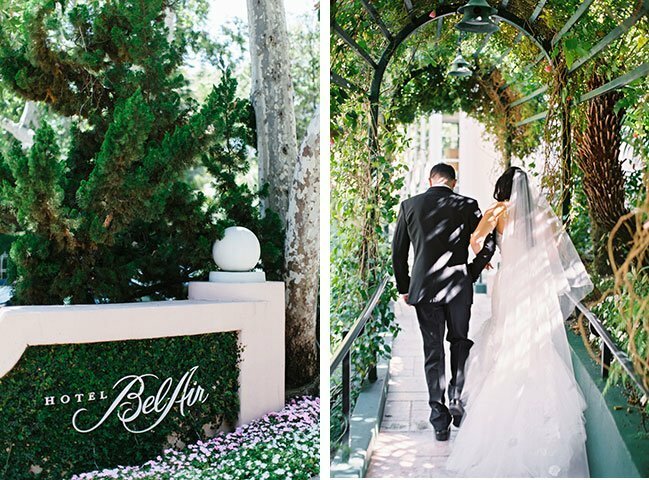 With event producer Kristin Banta at the helm, this Hotel Bel Air garden fête was destined to be one that fairytales are made of. True to form, the love story behind Cara and Ryan was exactly that. 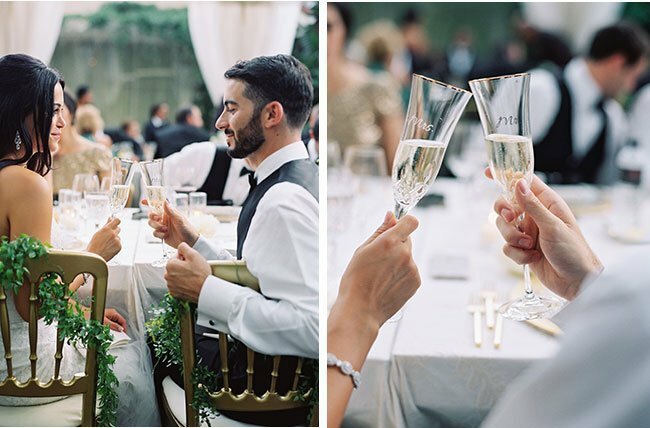 Childhood friends, turned high school crushes, turned college sweethearts, there was nothing keeping these two apart! 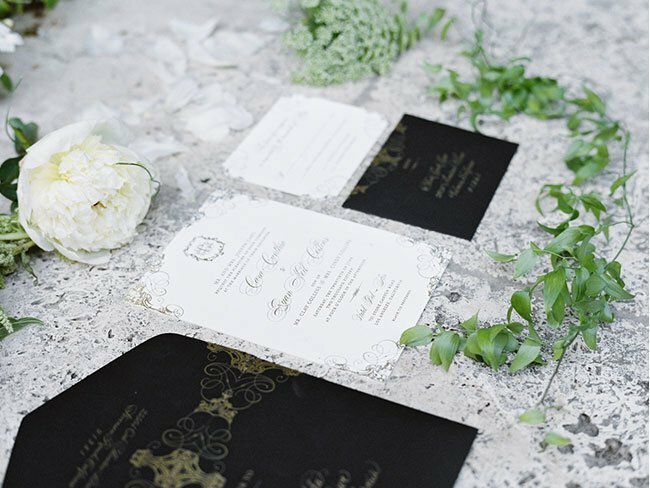 So it was all too fitting that the romance continued on these lush garden grounds, with a formal affair that mixed garden elegance with modern touches in black and gold, for all of their loved ones to witness the "I do's" and celebrate! 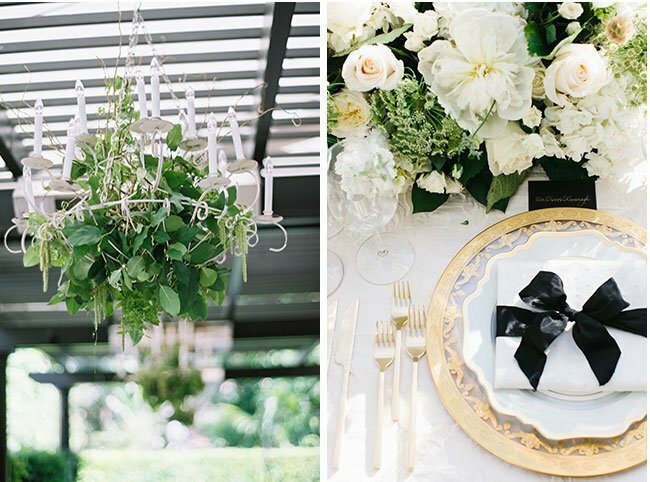 They wanted their guests experience to feel luxurious and romantic , but with a modern twist! 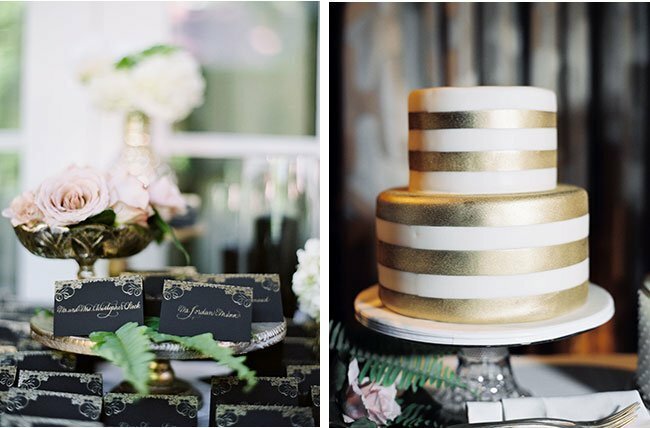 We loved how Kristin wove in the gold and black elements to achieve this flawlessly, and don't even get me started with those BOWS! 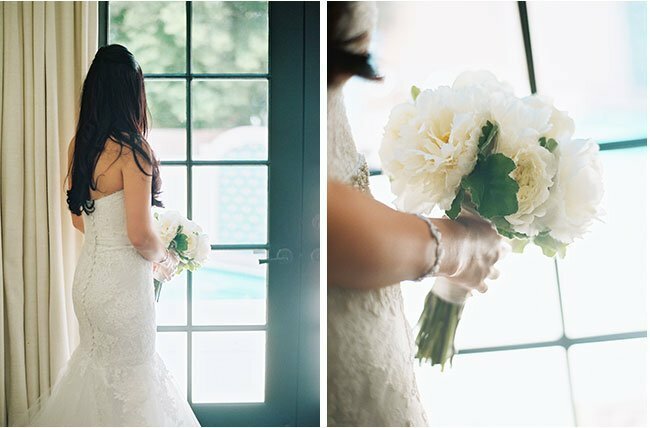 Cara carried a timeless bouquet of peonies and garden roses, with delicate touches of scented geranium. 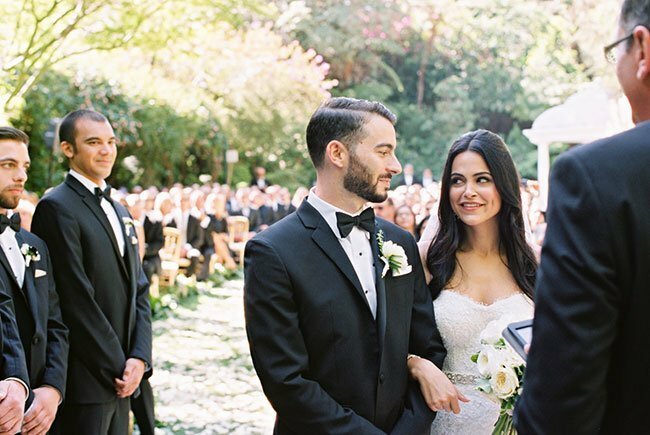 Gown by Monique Lhuillier. 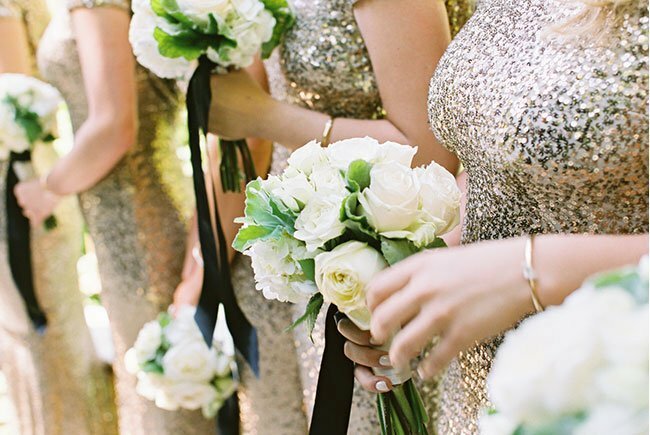 Gold bridesmaids dresses by Badgley Mischka. Bouquets of roses and scented geranium, simply tied off with a trailing black satin ribbon. 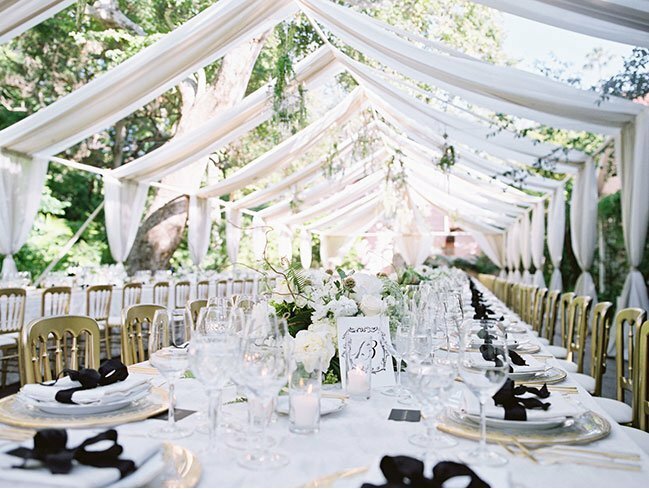 And a perfect silk bow topped each place setting, tied by Kristin Banta herself (no joke!). 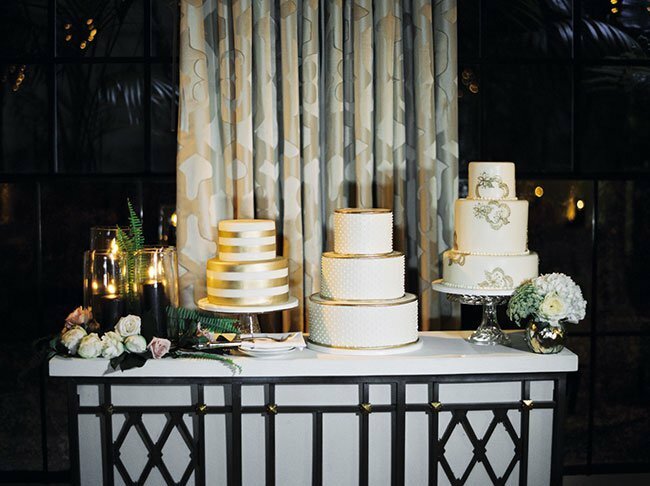 Flawless cake designs by Fantasy Frosting. 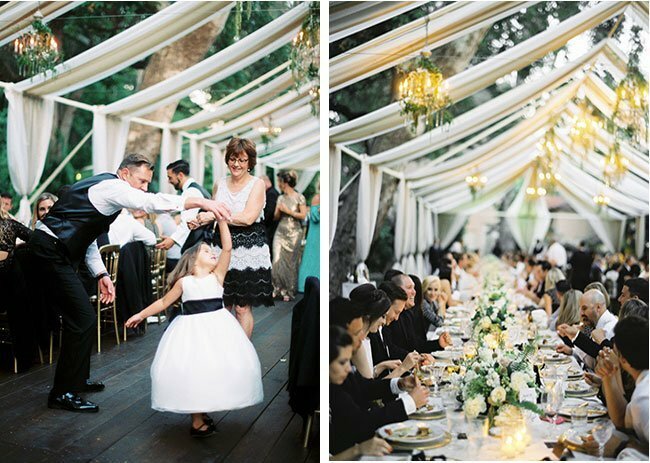 This wedding was also beautifully featured in California Wedding Day Magazine (summer, 2016). See the full feature here.